Arboretum volunteers, Mandy and Lisa led a group through the gardens today to share a little of the history of the area. Stopping by the remains of the ‘Summer House’, built by the Darby family, we chatted about the historic walled gardens that once graced the terraced slopes, and the grandeur (and mechanics) of the cast iron fountain that formed a focal point below it. Only a few of the specimen trees remain, but the mighty Lucombe Oak still presides over the hillside. Our walkers thoroughly enjoyed the tour and chat. 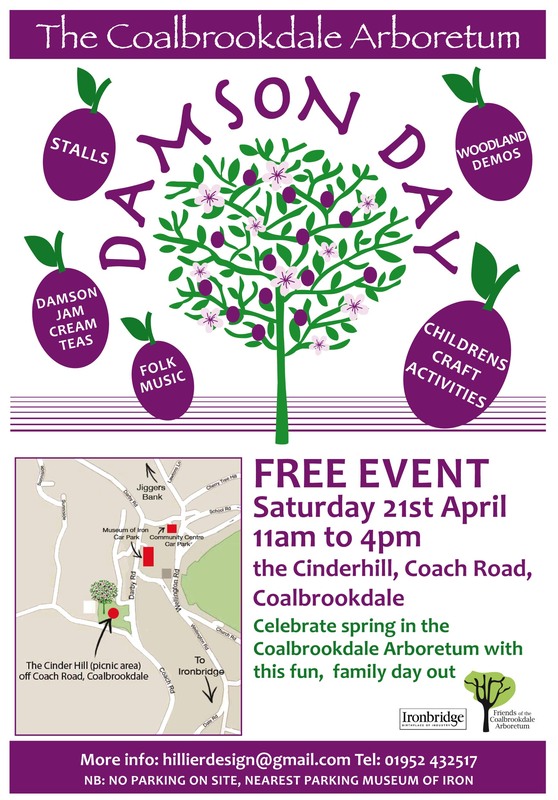 We’ll keep you posted about all Coalbrookdale Arboretum and Damson Day related events here. We are very sorry, but Damson Day on Saturday 21st April 2012 has had to be cancelled because of soggy ground and a poor weather forecast. Obviously we are very disappointed but would like to thank everyone for the hard work they have put in. 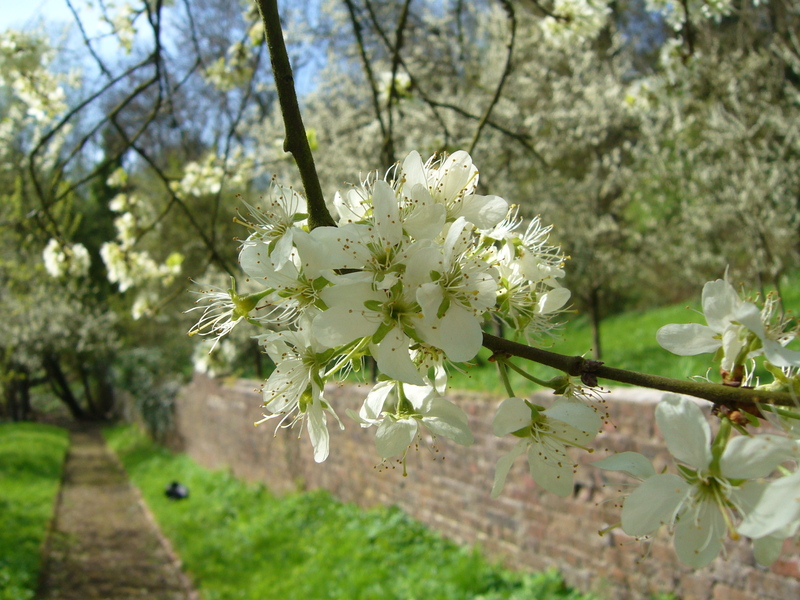 Come and celebrate the damson blossom with us on 21st April from 11 – 4pm. 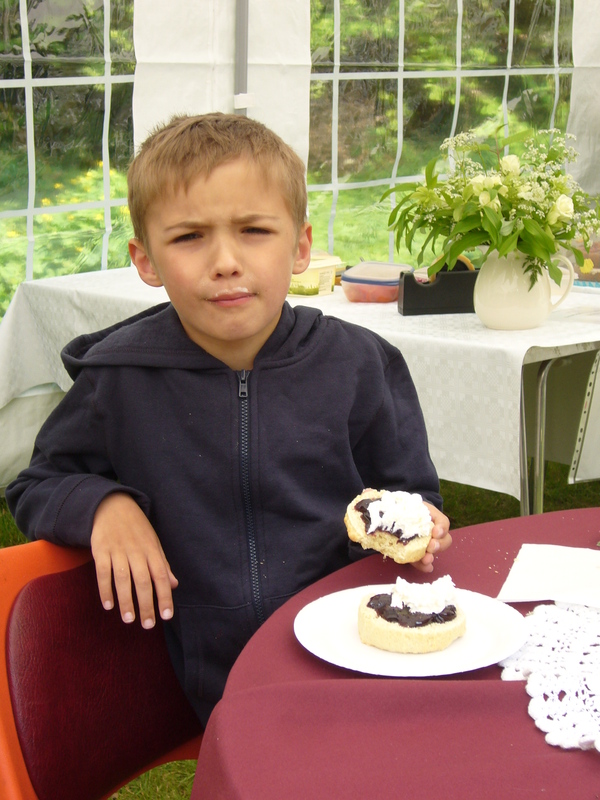 Fun activities, craft stalls and cream teas for all. Photos by Jo and Matt Sergeant. We had a fairly quiet Summer, but the Friends of the Coalbrookdale Arboretum enjoyed a visit to ‘The Patch’ at the beginning of August. ‘The Patch’ belongs to Mrs Margaret Owen, a well known local horticulturalist, and used to be a field before she transformed it into a beautiful garden. It houses a snow drop collection which is well worth a visit in January. However, we were there because Mrs Owen has an important connection with our own Damson Collection which she helped to plant with the help of Plant Heritage in 1994. At that time she was also able to rescue some varieties of lily and primrose from the Arboretum before they became subsumed by the ground elder -a problem then as now – and they still hold pride of place in her garden. After showing us round The Patch and telling us about all the interesting specimens it contains – of which Margaret has an encyclopedic knowledge – she treated us to a wonderful cream tea. 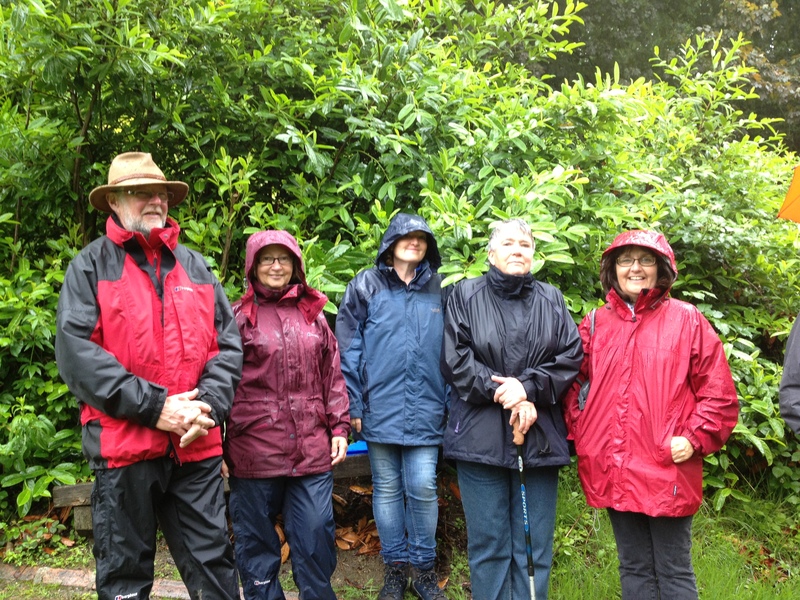 Also in August we were pleased to welcome some members from the Madeley Community Orchard who were keen to visit the Arboretum. The Madeley Community Orchard group are a little further on in their process than we are, having successfully applied for a lottery grant and implemented a project to transform a piece of waste ground and promote healthy eating in the community. 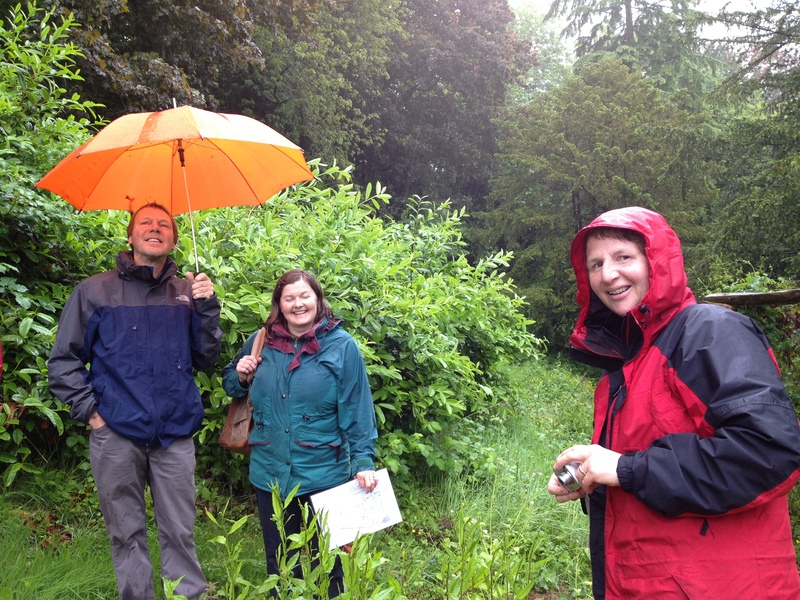 They were very interested in what we are trying to do at Coalbrookdale Arboretum and very encouraging. That visit also ended in tea and cake at the Museum of Iron cafe. An early reminder that the next regular meeting will be on Thursday 4th August, 7.30 pm in the Glass Classroom at the Museum of Iron. We will be visiting Mrs Margaret Owen’s renowned garden, The Patch on Saturday 6th August. Meet in the Community Centre car park, Coalbrookdale at 10 am if you would like to come along. Entrance is £1.50. On Tuesday 16th August, friends from Madeley Community Orchard will be visiting the Arboretum to be shown around by FCA Members (i.e me and anyone else who wants to come along). There will be a little tour and a visit to Cherry’s Cafe afterwards. Meet at 2pm in the Community Centre car park. 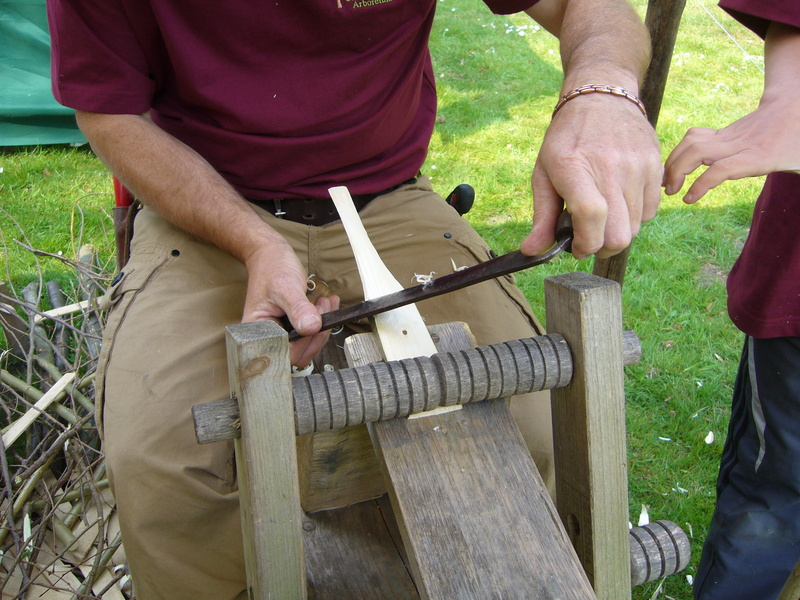 Thanks for bearing with us while we caught our breath after the big effort of Damson Day. 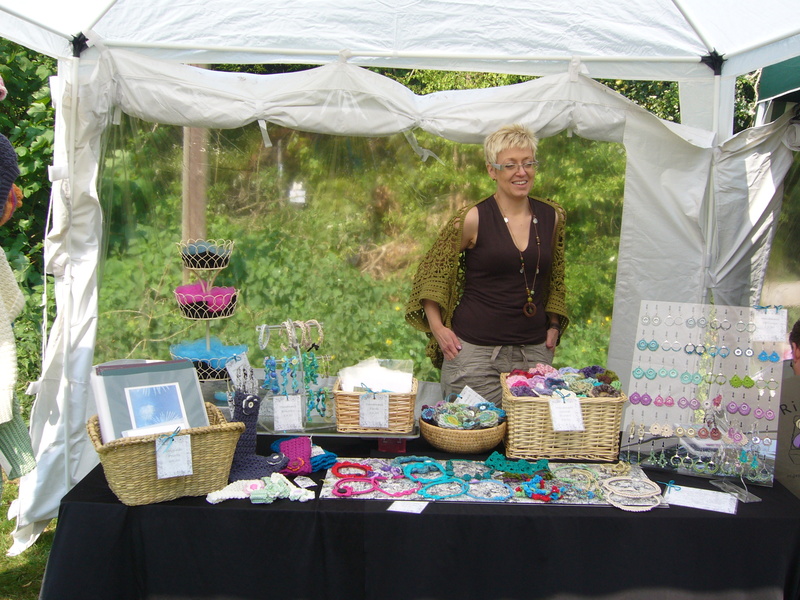 It was enormous fun besides being hard work and we made enough money to be able to put on the event again next year. 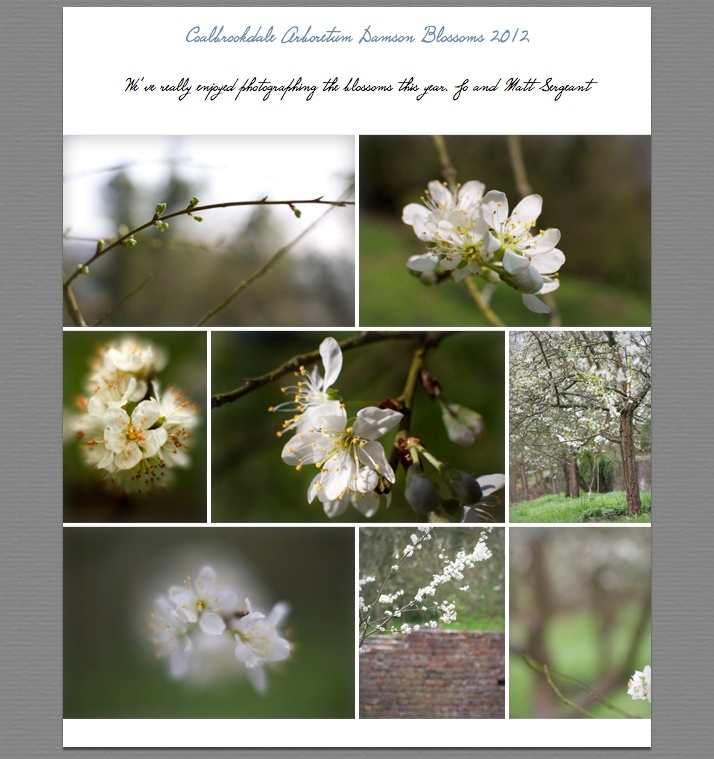 We’re hoping it will become something of a Coalbrookdale tradition. Our Damson Cream teas went down very well indeed, all homemade by volunteers and the jam was made from local damsons some of which were from the Arboretum itself. If you don’t already know this, the garden houses a National Damson Collection which was planted around twenty years ago. Our Damson Day was intended to coincide with the blossom which was absolutely stunning this year, we miss timed it by a few days but the best laid plans . . .
Damson Day itself was sunny and warm if a little windy. 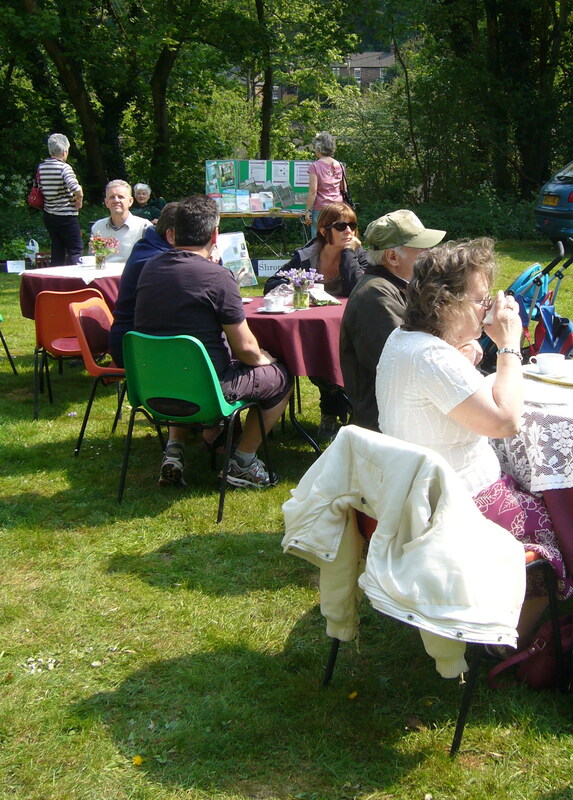 We had craft stalls, face painting, folk music and much more. 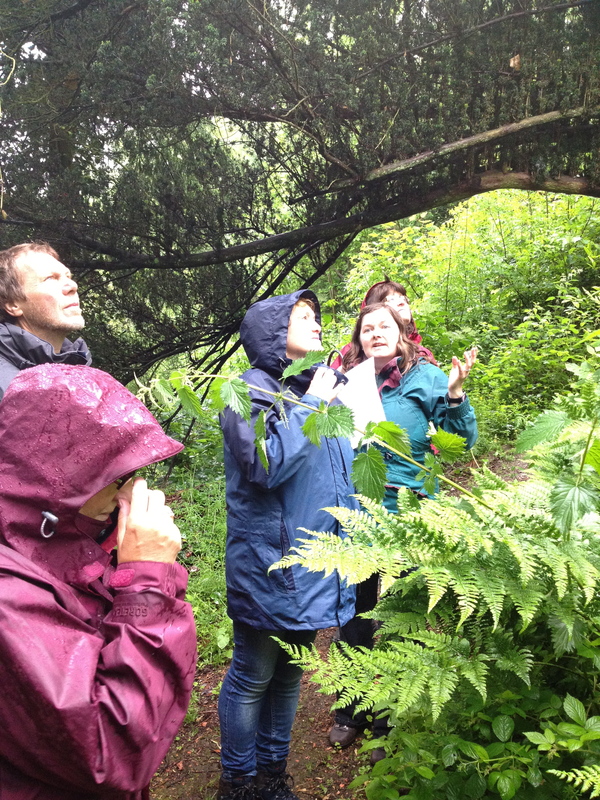 We even had a guided walk around the Arboretum. 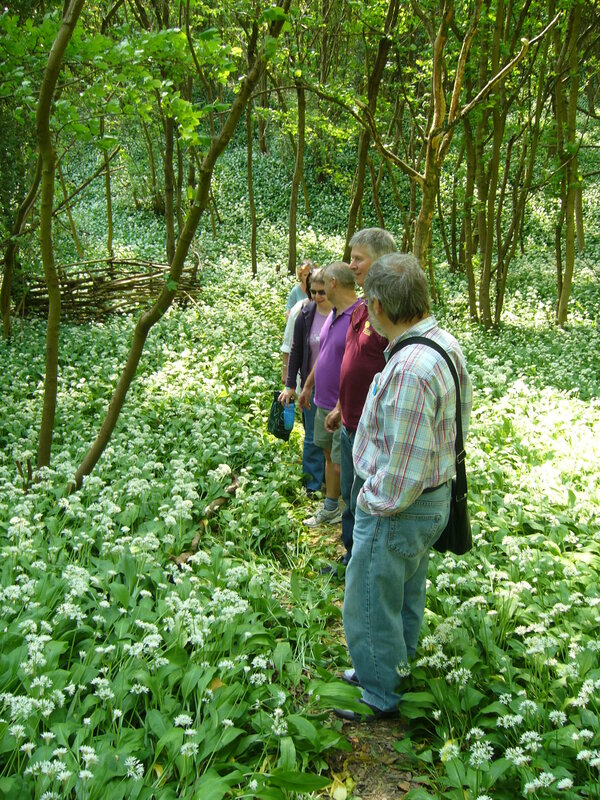 The wild garlic looked beautiful. We ended the event with the smashing of the giant Easter Egg. You never saw so much chocolate in the same place. 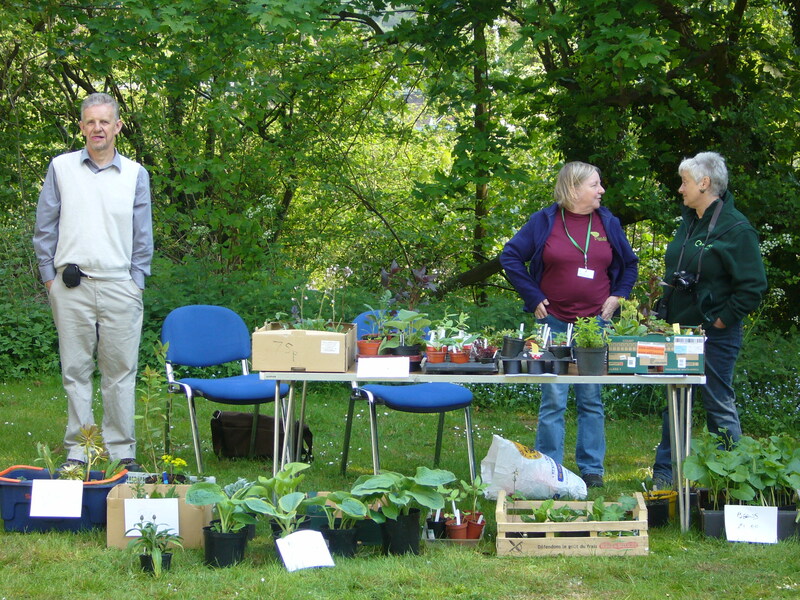 The Friends of the Coalbrookdale Arboretum is a group of lively volunteers who are working together to bring this old and nearly forgotten garden back into use for the local community, and for the many visitors to the area. We rely on the help of volunteers and partner organisations such as the Community Payback Team, Ironbridge Gorge Museum Trust, Severn Gorge Countryside Trust and Shropshire Wildlife Trust. If you would like to join in we welcome anyone to come along to our monthly meetings which are held on the first Thursday of every month. (see the calendar of events). There are plenty of volunteering opportunities from weeding to web design. Our next meeting is on 7th July in the Glass Classroom at IGMT, Coalbrookdale. We’ll be capturing our ‘Big Ideas’ for the future and thinking about a Damson harvesting event for the end of August. In the meantime, the Arboretum is there to be enjoyed.